We have partnered with Mathway to offer a free online algebra calculator. An extensive list of other algebra tools is located below. As Khan Academy notes, algebra is the “gatekeeper” math. It's important to have a strong understanding of it before tackling higher-level math and science subjects. There are tons of algebra calculators available online. It can be difficult to sift through them all to find what best fits your needs. Below is a collection of 144 algebra calculators separated by skill level and skill type. Symbolab.com's Algebra Calculator – This calculator has a clean, easy-to-use design and includes examples of equations to show step-by-step explanations of how to solve them. MathPapa.com's Algebra Calculator – This calculator is easy to use. Plug in your equation, and then, it provides the solution along with a step-by-step explanation of how the equation was solved. AlgebraHelp.com's Equation Calculator and Solver – This calculator provides a “Quick-Start Guide” with tutorial information about solving equations. It also shows its work when it solves an equation so you can see the steps taken to get the result. Tiger-Algebra.com's Algebra Solver, Simplifier and Evaluator – This calculator is easy to use. It also provides a step-by-step explanation of how results are found. Algebra.com's Algebra Solver and Math Simplifier – Specializing in solving middle school algebra equations, this calculator provides a detailed explanation of how it solved your equation, including an animation that takes you through each step. Mathway.com's Algebra Calculator – This calculator has a clean design. Click the “Help” button to see examples of several different types of algebra problems. Algebra-Class.com's Free Math Solver – As this calculator explains, it is a great tool for checking answers to your homework. It works for several algebra skills, such as expressions, equations, inequalities, functions, and more. WolframAlpha.com's Computational Knowledge Engine – This calculator is quick and easy to use. Type your equation into the box, and the calculator provides the solution along with other information, such as graphs or a visual representation of your equation. Marble Software Solutions Online Algebra Solver – This calculator is easy to use and provides easy-to-understand, step-by-step solutions to how problems were solved. In addition to equations, the calculator also solves expressions, systems of equations, and matrices. Cymath.com's Calculator – This calculator has a clean, easy-to-use design and provides step-by-step explanations of how problems were solved. SolveMyMath.com's Equation Solver Calculator – Solutions are one click away with this calculator. Once you have your solution, click “Show Graph” to see a graphical representation of your equation. CalculatorSoup.com – These calculators include tutorial info along with examples. The “Exponents” calculator is great for those with a basic understanding of exponents. While the “Fractional Exponents” calculator and “Solve for Exponents” calculator, assist those with a more advanced understanding of exponents. RapidTables.com's Exponents Calculator – This calculator is cleanly designed and easy to use and provides exponents laws and rules as a reference. WebMath.com's Simplify an Algebraic Term Involving Exponents and/or Powers - If you have a basic level of understanding of exponents, this calculator will be a great tool for you. Calculator.net's Exponents Calculator – This calculator includes a basic explanation of exponents and provides basic exponent laws as a reference. TutorVista.com's Exponents Calculator – This calculator provides great tutorial information, along with a color-coded breakdown of how to solve exponents. EndMemo.com's Exponents Calculator – This calculator is quick and easy to use. EndMemo.com's Exponents with Fractions Calculator – For those with a more advanced understanding of exponents, this calculator provides some tutorial information and a few examples to show users which numbers they should input and where when working with exponents with fractions. EndMemo.com's Exponents Solver – This easy-to-use calculator helps users find the unknown exponent. Free-Online-Calculator-Use.com's Exponent Calculator – This calculator provides tutorial information explaining exponents and negative exponents. Along with your solution, it provides the series of multiplication used to get the answer. WolframAlpha.com's Exponents Calculator – This calculator is easy to use. Simply input the base number and exponent in the appropriate boxes. MiniWebTool.com's Exponents Calculator – This calculator is easy to use and provides some tutorial information about exponentiation for users. EasyCalculation.com - For users with a competency in polynomials, these calculators make inputting numbers for solving polynomial equations easy. WolframAlpha.com's Multiplying Polynomials – Along with the solution, this calculator shows the “possible intermediate steps” one might use to get it. MathPortal.org's Polynomial Equation Solver – This calculator includes examples showing how to input your data. It also includes a tutorial section that includes a four-step explanation of how to solve a polynomial. Symbolab.com's Polynomial Equation Calculator – This easy-to-use calculator provides step-by-step explanations of how to solve the polynomials you enter. WebGraphing.com's Polynomial Long Division Calculator – For those learning polynomial division, along with the result, this calculator shows the long division steps needed to get it. Calc101.com's Long Division of Polynomials Calculator – Follow the long division steps provided by this calculator to see if your answer matches its solutions. HVKS.com's Polynomial Root Finder – This calculator provides quick results and could be a great tool for double-checking your own answers. Tiger-Algebra.com's Polynomial Root Calculator – Along with its solutions, this calculator provides detailed information on how it got its results. Algebra.com's Polynomial Calculator – This calculator adds, subtracts and multiplies polynomials. It provides step-by-step explanations of how it gets results, including an animation that takes you through each step. If the expression you're working on includes the square root symbol, “√,” then it's a radical. Below is a collection of calculators to help simplify and solve radical equations. Symbolab.com's Radical Equation Calculator – Cleanly designed and easy to use, this calculator provides examples with step-by-step explanations of how the problems are solved. MathPortal.org – These calculators provide instructions on how to use them. Simply replace the radical sign with an “r” in your radical expressions and it's ready to assist. CalculatorSoup.com – These calculators provide explanations of what they can do and are designed to make inputting data quick and easy. WebMath.com's Simplify a Term Under a Radical Sign – This calculator provides a step-by-step explanation of how it simplifies the terms entered. RapidTables.com Radicals and Roots Calculator – This calculator is quick and easy to use and makes inputting your data very simple. EasyCalculation.com's Simplifying Radical Expressions Calculator – This calculator is easy to use. For those needing extra help, it also provides examples of the kinds of data you'll be entering—variables, values, and expressions. WolframAlpha.com's Radical Equations Calculator – Great for double-checking your own results, this calculator is quick and easy to use but doesn't show steps for solving. MathCelebrity.com's Simplify Radical Expressions Calculator – This calculator provides detailed, easy-to-understand instructions on how to solve your problem. AlgebraHelp.com's Proportion Calculator – This calculator is easy to use and includes a sample proportion to help you get started. It provides a step-by-step explanation along with its results. Basic-Mathematics.com's Proportion Calculator – This calculator is easy to use and provides a word problem-style example to make understanding proportions easier. WebMath.com's Help with Proportions Calculator – This calculator includes tutorial information about ratios and proportions. It also provides an explanation with its results. TutorVista.com's Proportion Calculator – Two calculators are presented here: One to find the unknown variable in a proportion and one to check the equality of the ratios. Tutorial information about ratios and proportions is also provided. MiniWebTool.com's Proportion Calculator – This calculator is quick and easy to use. Just plug in three numbers to solve for the unknown variable. TutorVista.com's Ratio Calculator – This calculator helps simplify ratios and provides brief tutorial information. CalculatorSoup.com's Ratio Calculator – This calculator also solves proportions. It can solve for a missing value or evaluate whether the ratio or proportion is true or false. Now that you know the basics, it's time to tackle more challenging equations, learn about factoring, and introduce yourself to the world of inequalities. In intermediate algebra, equations get a little more complicated. Below is a collection of calculators to help solve systems of equations and other more intricate expressions. WebMath.com Algebra Calculators - If you're just beginning your Algebra 2 study, this calculator is easy to use and helps with a variety of types of Algebra 2-level equations. SolveMyMath.com's Systems of Equations Solver – This calculator is a great help when solving complicated systems of equations. QuickMath.com's Algebra Calculators – This selection of calculators makes working with algebraic expressions easier. It provides tutorial information on algebra and the concepts of expanding, factoring, simplifying, and canceling when working with expressions. 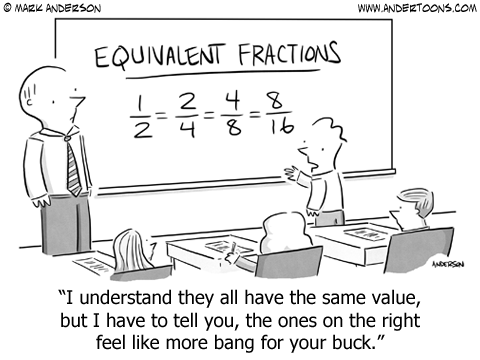 It also provides information on fractions as they relate to these expressions. Each calculator features a Basic, Intermediate, and Advanced mode. EasyCalculation.com's Solve Algebra Transposition Equations Calculator – This calculator helps you separate the unknown variable to one side of the equation to make it easier to solve. MathIsFun.com's Combinations and Permutations – This calculator is great for those in the early stages of learning this concept. It includes explanations of combinations and permutations rules. StatTrek.com's Combinations and Permutations Calculator – In addition to being easy to use, this calculator provides tutorial information about combinations and permutations and sample problems with explanations for each step. EasyCalculation.com's Combinations and Permutations Calculator – Inputting data is very easy to do with this calculator. It also provides basic tutorial information about combinations and permutations. TutorVista.com's Combinations and Permutations Calculator – This calculator provides step-by-step calculations and clearly explained example problems to help improve your understanding of this concept. CalculatorSoup.com's Combinations and Permutations Calculators – Each of these calculators provides detailed tutorial information and necessary formulas. CalcTool.org's Combinations and Permutations Calculator – This calculator provides some tutorial information. It doesn't provide step-by-step explanations of how it gets results but is a great tool to use for double-checking the results from your own calculations. StatisticsHowTo.com's Combinations and Permutations Calculator – This calculator provides easy-to-understand tutorial information teaching the difference between combinations and permutations and providing necessary formulas. NCalculators.com's Combinations and Permutations Calculator – This calculator doesn't show steps for getting its results but does provide easy-to-understand tutorial information. CSGNetwork.com's Combinations and Permutations Calculator – Inputting data into this calculator is quick and easy. It provides some tutorial information and the formulas used to solve combinations and permutations. PlanetCalc.com's Combinations and Permutations Calculator – This calculator provides refresher information for those who are new to or revisiting this math skill. AlgebraHelp.com's Factoring Calculator – This calculator offers a Quick-Start Guide for users with explanations on how best to input their expression. MathPortal.org's Polynomial Factoring Calculator – This calculator provides examples to make using the calculator easier. It also shows its work so users can better understand how it reached the solution. SolveMyMath.com's Factoring Calculator – This calculator is easy to use and provides clear, concise results. It offers examples to make inputting your data easier. WolframAlpha.com's Factoring Calculator – There are no bells and whistles with this calculator. Simply input your data and it provides the result. MathWorksheetsGo.com's Factoring Trinomials Calculator – This calculator is great for those doing more advanced factoring with trinomials. CalculatorSoup.com's Factoring Calculator – This calculator is easy to use and provides tutorial information on how to perform factorization. QuickMath.com's Factoring Calculator – This calculator features a Basic, Intermediate and Advanced mode. It provides some but not all steps used to get results. Symbolab.com's Factor Calculator – This calculator is easy to use and features examples with step-by-step explanations of how factoring works. Symbolab.com's Inequalities Calculator – This calculator is cleanly designed and easy to use. It also includes examples with step-by-step explanations of how the problems are solved. WebMath.com's Solve an Inequality Calculator – This calculator is quick and easy to use. QuickMath.com's Inequalities Calculators - This calculator can work at a Basic, Intermediate, or Advanced level. TutorVista.com's Inequalities Calculator – This calculator includes instructions on how to approach solving a problem and examples that show step-by-step explanations of how the calculator arrived at the solution. WolframAlpha.com's Inequalities and Equations Solver - This calculator is clean and easy to use. It can provide solutions for simple and compound inequalities. EasyCalculation.com's Solving Linear Inequalities Calculator – This calculator provides some tutorial information to help users gain a better grasp of linear inequalities. For further explanation, it also provides the inequalities properties for addition, subtraction, multiplication, and division. EndMemo.com's Absolute Value Inequalities Solver Calculator – This calculator provides you with a function example to help you get started. 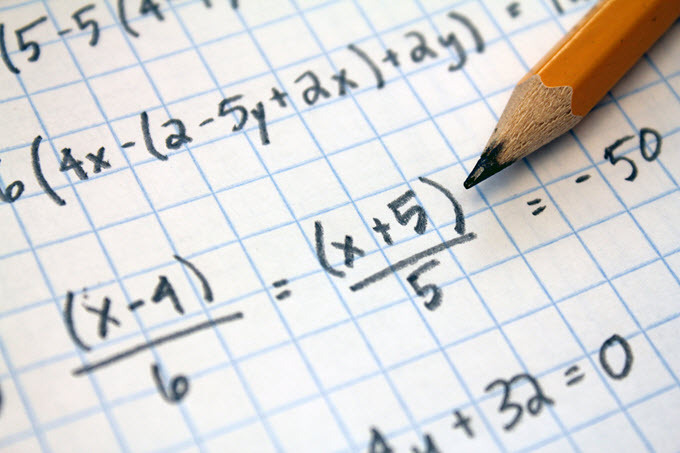 MathPortal.org's Quadratic Equation – This calculator is easy to use and includes tutorial information explaining two methods for solving quadratic equations. Symbolab.com's Quadratic Equation Calculator – This calculator is easy to use. It includes examples with step-by-step explanations of how the equations are solved. MathIsFun.com's Quadratic Equation Solver – This calculator provides tutorial information for those just beginning to learn about quadratic equations. It also has a graph feature that graphs the results of your equation. WebMath.com's Solve a Quadratic Equation By Factoring – This calculator explains how to solve quadratic equations by factoring. Algebra.com's Quadratic Equation Calculator – This calculator provides detailed explanations for how it solved the entered equation. It also graphs the entered equation. CalculatorSoup.com's Quadratic Equation Calculator (2nd Order Polynomial) – Use this calculator for help solving a polynomial with an order of 2. SolveMyMath.com's Quadratic Equation Solver – This calculator is easy to use and provides step-by-step explanations of how it solves each equation. EndMemo.com's Quadratic Equation Solver – This calculator computes as you input your data so results are instant. MathCelebrity.com's Quadratic Equations and Inequalities Calculator – This calculator offers detailed step-by-step explanations for how to reach solutions. It can also solve inequalities. As you expand on your algebra knowledge, you'll begin to learn about more advanced algebra elements such as logarithms, complex numbers, and more. MathCelebrity.com's Binomial Multiplication Calculator – When providing solutions, this calculator shows how it used the FOIL method (First-Outside-Inside-Last) to get the results. MathWorksheetsGo.com's Multiply Binomials Calculator – It is quick and easy to input your data into this calculator. It also provides a step-by-step explanation of how it got the solution using the FOIL method. WolframAlpha.com's Binomial Expansion Calculator – Along with its solution, this calculator shows step by step how it got the results. CalCul.com's Binomial Theorem Calculator – This calculator uses the Binomial Theorem to calculate a binomial's expansion. Kusashi.com's Binomial Theorem Calculator – This calculator also uses the Binomial Theorem. It will expand a binomial up to eight terms. MathIsFun.com's Complex Numbers Calculator – This calculator is easy to use and provides brief step-by-step instructions on how it got its solution. MathPortal.org's Complex Numbers Calculators - For those with an advanced understanding of Algebra 2, MathPortal provides three calculators to use as tools when working with complex numbers. MathWorksheetsGo.com's Complex Number Calculator – It's quick and easy to input your data into this calculator. It also shows each step taken when it provides the solution. WolframAlpha.com's Complex Numbers Calculator – This calculator provides your basic result along with other iterations including the decimal form, the polar coordinates, the position in a complex plane, and the alternate form. 1728.org's Complex Numbers Calculator – This calculator multiplies and divides complex numbers. Inputting data is quick and easy, and it is a great way to double-check your own results. SolveMyMath.com's Complex Numbers Calculator – This calculator performs basic operations for calculating complex numbers, such as addition, subtraction, multiplication, and division. It doesn't show its steps but is a great tool for double-checking your own calculations. EasyCalculation.com's Complex Numbers Calculator – This calculator multiplies, divides and finds the square root of the inputted expression. It calculates as you input the data so results are instant. For help simplifying complex expressions, use this calculator. EndMemo.com's Complex Numbers Calculators – This page presents specific calculators for specific operations. The calculators featured can be used for adding, subtracting, multiplying, and dividing complex numbers. The page also features tutorial information and complex numbers formulas. RapidTables.com's Logarithm Calculator – This calculator includes logarithm rules for guidance and is designed to make inputting data quick and easy. Symbolab.com's Logarithmic Equations Calculator – This easy-to-use calculator provides logarithm examples to help get you started. It also provides step-by-step explanations of how it gets its solutions. 1728.org's Logarithm Calculator – This calculator provides detailed instructions on how to input your data to ensure you get clear results. NCalculators.com's Logarithm Log Calculator – This calculator provides tutorial information on logarithms and examples of log calculations. MiniWebTool.com's Log Calculator – This calculator provides tutorial information and formulas related to logarithms. Inputting data is quick and easy. Rechneronline.de's Logarithm Calculator – This is a basic logarithm calculator without any bells and whistles. Inputting data is quick and easy. TutorVista.com's Logarithm Calculator – This calculator provides some tutorial information and necessary formulas. A-Calculator.com's Logarithm Calculator – This calculator is easy to use. It also provides a detailed explanation of how to find a natural logarithm without using a calculator. MathIsFun.com's Matrix Calculator – This calculator makes inputting your data easy and can perform basic matrix operations such as addition, subtraction, and multiplication. MathPortal.org's Matrix Calculators – These matrix calculators from MathPortal perform a variety of functions. It includes a Basic Matrix Calculator, Elgenvalues & Elgenvectors Calculator, and Matrix Decomposition Calculator and allows users to copy and paste data from an Excel spreadsheet. MatrixCalc.org's Matrix Calculator – This calculator serves as a great all in one calculator for working with matrices. It includes instructions on how to input data into the calculator. EasyCalculation.com's Calculation on MATRIX Math – EasyCalculation.com provides a variety of matrix calculators to perform specific functions from basic operations such as addition and subtraction to more complex functions such as LU Decomposition. Symbolab.com's Matrix Calculator – This calculator is cleanly designed and easy to use. It includes examples with step-by-step explanations of how the matrix operations are solved. Meta-Calculator.com's Matrix Calculator – Using this calculator is quick and easy. Inputting data is simple and it performs operations such as addition, subtraction, multiplication, and more. SolveMyMath.com's Matrix Calculator – Use this calculator to solve aspects of a matrix such as determinant, inverse, trace, and norm. SolveMyMath.com's Matrix Multiplication, Addition and Subtraction Calculator – This calculator is easy to use for matrix multiplication, addition, and subtraction. QuickMath.com's Matrix Calculators – This calculator provides tutorial information on matrices and matrix aspects such as determinant and inverse. There are specific versions of the calculator for each aspect. Math.uh.edu's Matrix Calculator – Developed by the Department of Mathematics at the University of Houston, inputting data into this calculator is easy to do. It performs basic matrix operations such as addition, subtraction, and multiplication. MathPortal.org's Simplifying Rational Expressions Calculators – This calculator features a tab for “Basic Expressions” and a tab for “Advanced Expressions.” The solutions presented by the “Basic Expressions” calculator also provide a step-by-step explanation of how the expression was simplified. QuickMath.com's Simplify Rational Expressions Calculators – These calculators provide basic but quick results. There is a Basic, Intermediate, and Advanced mode.